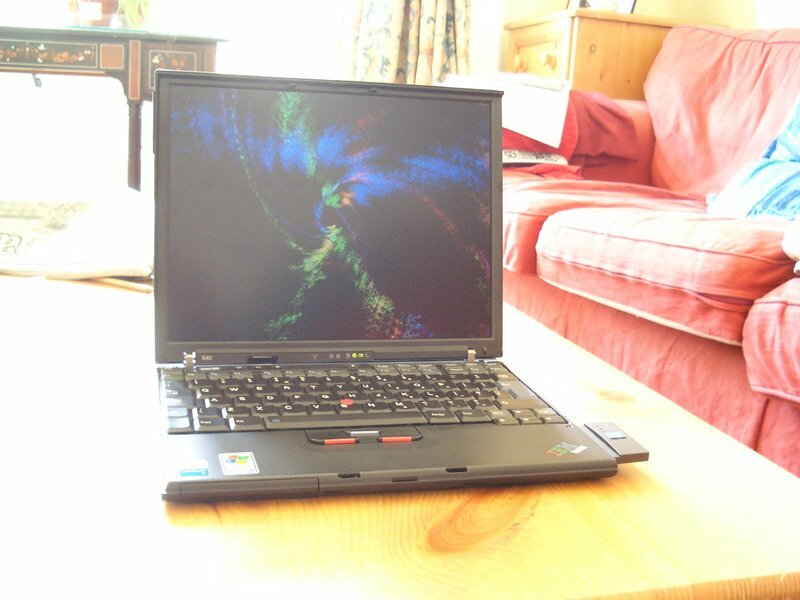 The thinkpad X40 is one of the most popular and well supported laptops for running Linux. My intention is to include on this page any bits and pieces that you need to perform on top of just installing Linux (in my case, Debian). The page should remain small therefore. Anything included here should be "fixed" at some point. Docking support has come a long way recently. Unfortunately, we used to have a fairly messy kernel approach to it complemented with user scripts that worked. Now we have a more refined kernel approach and no user scripts to match. The X40 does not wake the backlight after returning from resume. Kernels and userspace software prior to 2.6.26 handled this by running some BIOS code to initialize the video card on resume. 2.6.26 was supposed to be a landmark kernel release where all such quirks were handled entirely by the kernel and userspace software needn't worry about it anymore. Unfortunately the X40 backlight/resume issue has not been solved yet (this is kernel bug 10985). It seems that there are two "suspend" events being sent in some circumstances. Recently (post-Lenny sid, 2.6.26-29) the laptop has started putting itself to sleep immediately after waking up, sometimes two or three times. I'm not sure yet but I think that this happens only when I press the sleep button on the keyboard, rather than a software menu. This leads me to believe something is queueing up sleep instructions and actioning them after the first one has completed. A 1.8" IDE-to-CF adaptor combined with a compact flash card in place of the hard drive. I've bought one of these but I haven't bought a CF card to try it with. 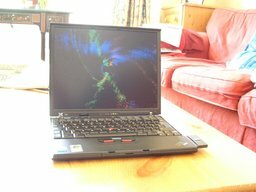 Check out thinkwiki.org and join the linux-thinkpad mailing list.